Theft and criminal damage is a constant threat to all of us, whether it is a family home or business premises. A small one off cost can reduce this risk significantly. Protecting Your Home or Business whether you need external intruder detection or to safeguard key internal areas we have a solution for you. At Patsec Solutions, we will assess the particular risks to your premises and operations and design a Burglar Alarm system around them combining proven equipment with leading edge technologies. Later we will advise the best Security Firm to have their Back up Response. Burglar Alarm Site Survey Free. The primary function of a key pad is to allow homeowners to activate and deactivate the alarm system, usually with a number pad. The options on the high end systems are many, there are a variety of key pads designed with large high resolution touch screens which are able to control everything from your alarm system and security cameras to your homes thermostat. We Install some of the leading key pad technology products. This is the control center of your burglar alarm, it acts as the computer. Connecting and monitoring the alarm sensors, activating the sirens when sensors are triggered and communicating with the monitoring company. Inside and outside sirens are standard on most burglar alarms, inside sirens emit an ear piercing sound that is difficult to bear for intruders on the inside. External sirens are designed to alert neighbors and anyone near by. At its most basic, a conventional burglar alarm is made up of a closed electrical circuit. This means that electricity flows along a clear path between two points. Interrupting this circuit will trigger the alarm. An monitored house alarm relies heavily on neighbors to investigate the intrusion and contact you while you are out. The problem is false alarm sirens going off are about as common as a dogs barking or a baby crying and many people will simply ignore alarms going off down their street. Wireless systems are now becoming more popular as their technology improves and becomes more reliable. These do away with the long installation times and inflexibility of traditional hard-wired systems. They are also more mobile, meaning that once you buy a wireless system, you can remove it and take it with you if you’re moving house. Perimeter or driveway security systems are helpful editions to a home security system. Especially if you live in the more remote rural areas where your visitors are less frequent. Perimeter security systems are most commonly used to alert home owners of unexpected visitors coming down longer private driveways though they are just as useful on large land sections where there can multiple entry points to the property. Other systems exist that incorporate smoke or fire detectors, meaning that you are given all-round protection not only from burglars and intruders, but from house fires as well. When selecting an intruder alarm systems for your Premises or for your business there are several important choices or decisions to be made. 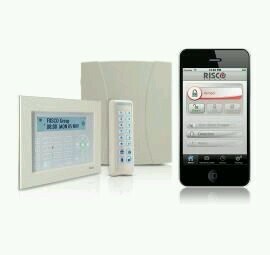 Hard-wired burglar alarm systems, which were the only choice for many years, are now being challenged by the latest generation of wireless (wire free) burglar alarm systems. There are two more decisions to be made. 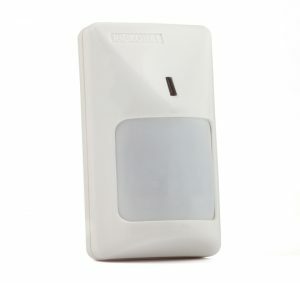 A burglar alarm system can be designed to protect the perimeter of premises using vibration or shock sensors or by a system of “space protection” using movement detectors such as PIR (passive infrared) or dual-technology (PIR plus microwave) detectors or Beam Sensor Detectors. These will be situated in key areas of the premises, where the intruder may access the Premises. Finally, it is necessary to decide whether the burglar alarm system will be “monitored” or “Siren-only”. 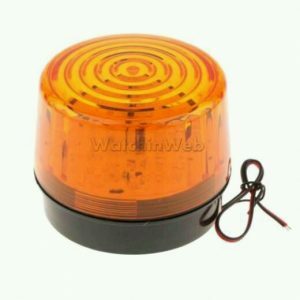 A Siren-only burglar alarm system relies on a siren to summon help from neighbors or passers-by. It will usually be supplemented by an internal sounder designed to drive the intruder from the premises. A monitored burglar alarm system sends a signal to an Alarm Receiving Center (ARC) also known as Control Room Center which in turn can contact key holders, the police or fire brigade, or even the premises to establish if an alarm is genuine. This response system is very flexible and can be tailor-made to the customer’s needs. 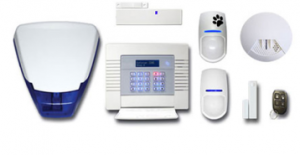 Hard-wired burglar alarm systems – Hard-wired burglar alarm systems will generally be specified in commercial premises or for very large domestic burglar alarm systems. These systems can support a greater number and larger variety of detectors. Patsec Solutions Surveys the premises and determines what to install and where so as to secure your premises or your business accordingly.